March 26, 2019 / Modified mar 26, 2019 9:22 a.m.
U.S. Rep. Ruben Gallego, in 2017. 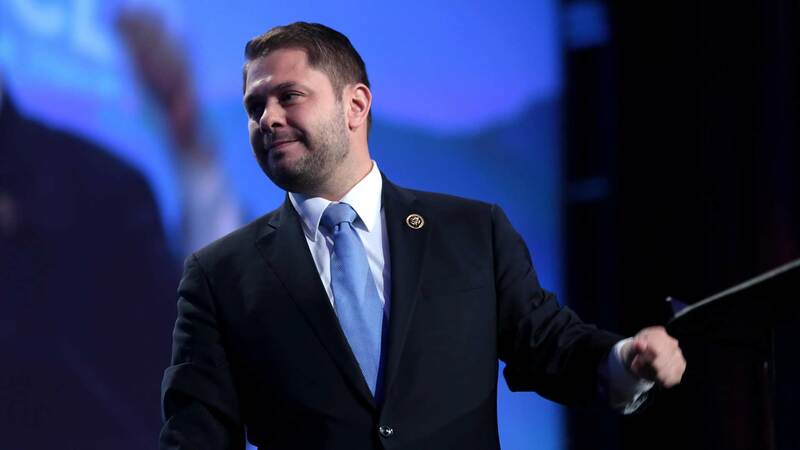 PHOENIX — Rep. Ruben Gallego said Monday he won't run for the U.S. Senate, likely avoiding a contentious fight for the Democratic nomination to finish John McCain's last term. But Gallego said he doesn't want to engage in a bitter primary before pivoting to the general election for a seat that's crucial for Democrats eying the Senate majority. "Republicans want a bitter primary between Democrats so they can hold this seat," Gallego told reporters in Washington. "And you know what, if they want that, they're going to have to find another race." Gallego said most of the pressure not to run came from Arizona Democrats looking to avoid a bitter primary. "They were making a really good argument that if you have a bitter primary all the way to the end, then it would be harder for the Democrat to win," Gallego said, adding his own private polling confirmed that. Gallego, 39 and one of the highest-ranking Latinos in elected office in Arizona, is in his third term representing Democratic strongholds in south and west Phoenix in Congress. He's built a liberal voting record and has become a prolific critic of President Donald Trump on his Twitter feed. Gallego served in Iraq with the U.S. Marine Corps and is a graduate of Harvard University. His former wife, Kate Gallego, was elected Phoenix mayor this month and took office last week. "As a Navy guy, I know it's always better to avoid a fight with a Marine," Kelly said in a statement from his campaign. "I have a lot of respect for Congressman Gallego's service to our nation. I look forward to working with him to stand up for Arizona families." Kelly has signaled he'll run a centrist campaign like the successful one waged in 2018 by fellow Democrat Sen. Kyrsten Sinema. He retired from NASA and the Navy, becoming an advocate for gun control laws after his wife, former U.S. Rep. Gabrielle Giffords, was shot in the head in an unsuccessful assassination attempt during a constituent event in 2011. Former Attorney General Grant Woods, a longtime Republican who became a critic of President Donald Trump and registered as a Democrat, also considered a run but decided against it out of concerns about a nasty primary. Associated Press writer Alan Fram contributed from Washington, D.C.